State Farm Mutual Automobile Insurance Co. said Edward Rust is stepping down as chief executive officer after three decades in the post and will be replaced by the company’s chief operating officer. Michael Tipsord, 55, will be promoted to CEO in September, the Bloomington, Ill.-based insurer said Thursday in a statement. During his tenure, Rust oversaw an expansion of the company’s customer base and net worth. 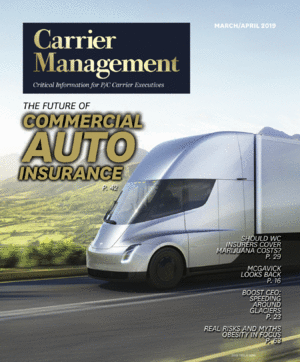 Yet the insurer, which is owned by policyholders and sells more auto and home coverage than any other U.S. carrier, could face pressure in the years ahead as car safety improves, limiting demand for its products. The insurer’s profit fell 19 percent to $4.2 billion in 2014 amid rising claims costs. Its net worth rose to $80 billion from $75.9 billion during the period as the value of its stock portfolio climbed. State Farm is among the largest investors in companies including Walt Disney Co., Johnson & Johnson and Wells Fargo & Co. Prior to serving as chief operating officer, Tipsord was chief financial officer, a senior vice president and treasurer. He holds a bachelor’s degree from Illinois Wesleyan University in Bloomington and a law degree from the University of Illinois at Urbana-Champaign, according to the statement. Rust will remain chairman of the board, the company said.